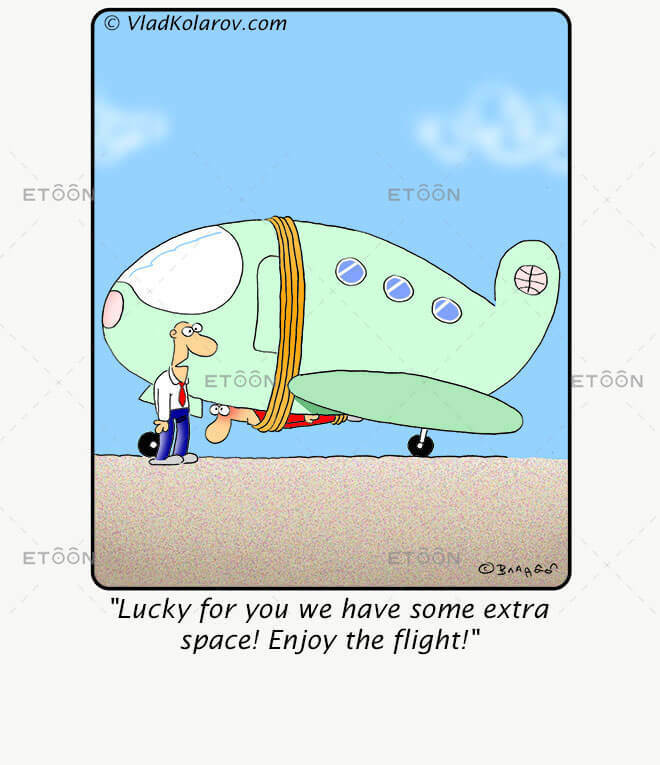 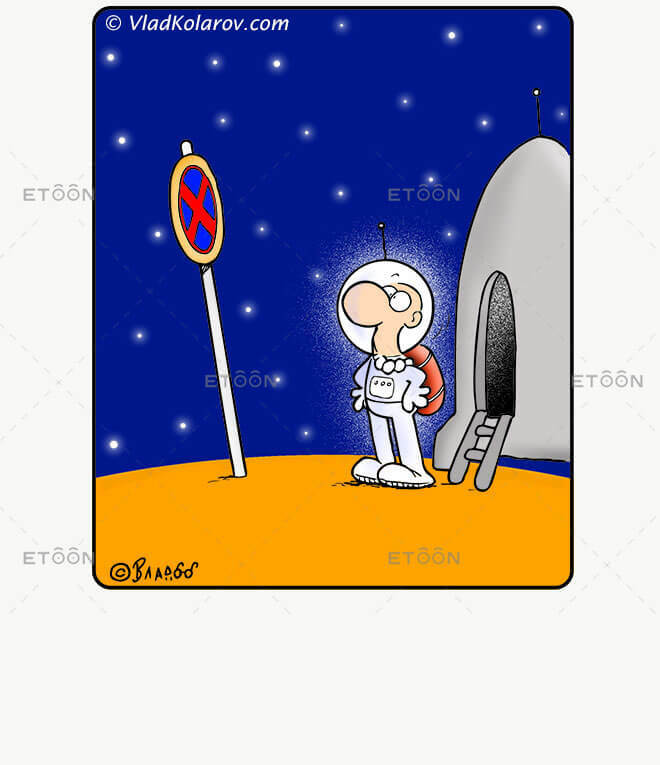 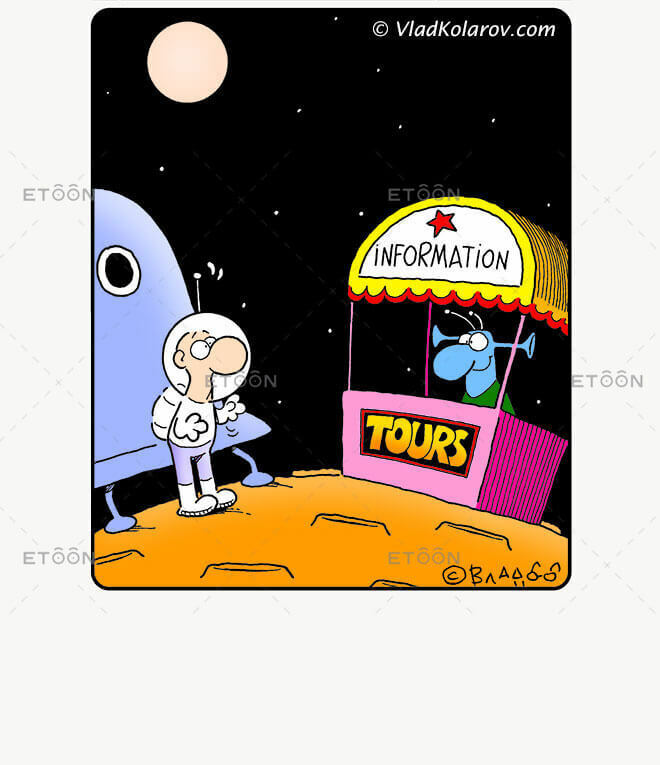 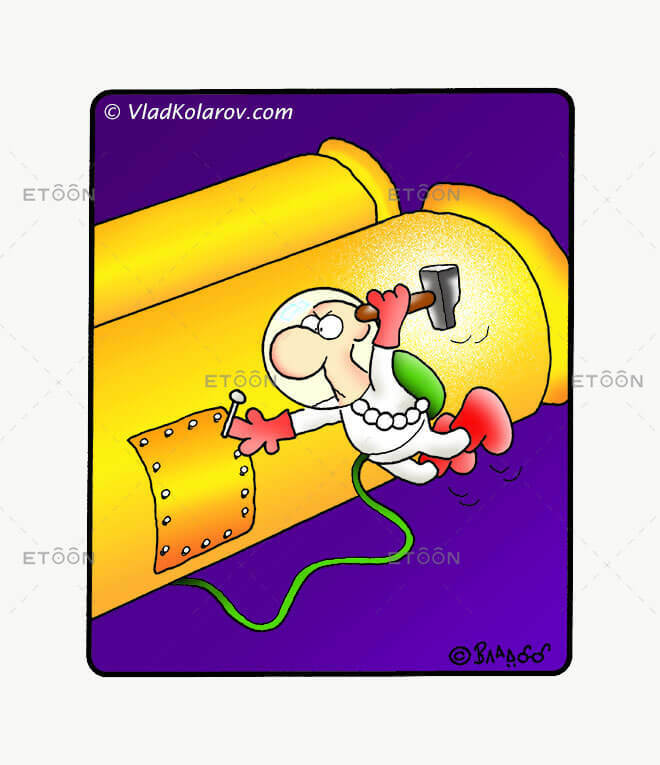 Search through our large searchable database of cartoons on a variety of subjects, including space cartoons. 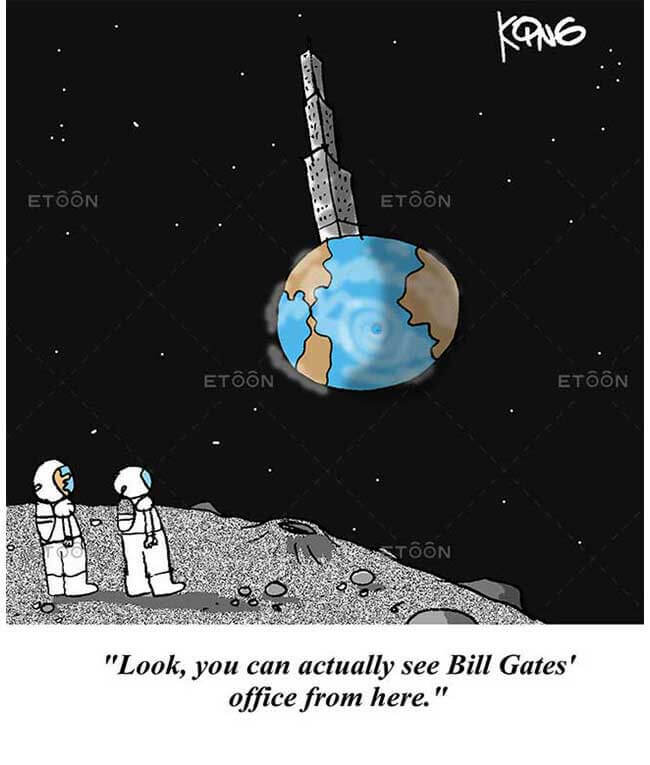 Look, you can actually see Bill Gates’ office from here. 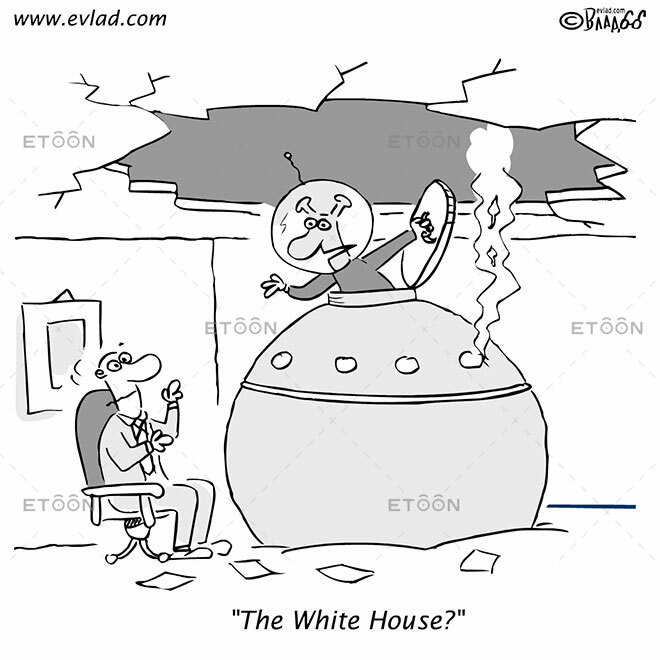 Alien crash landing: The White House? 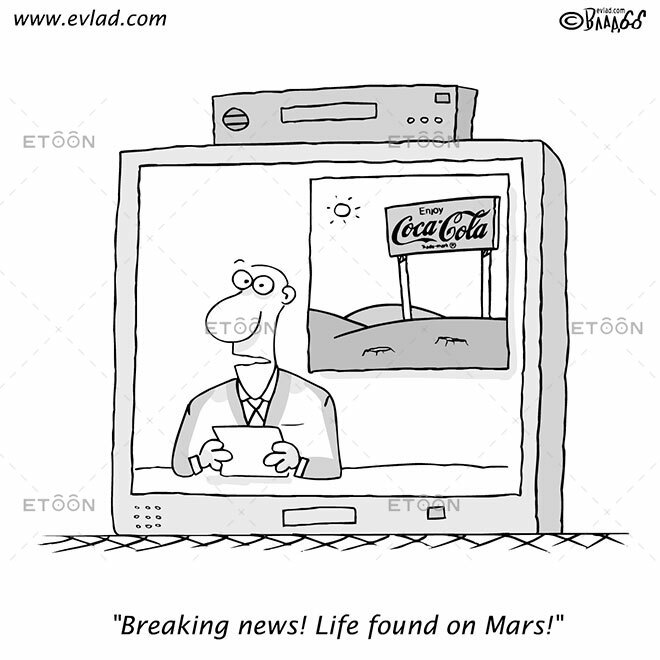 TV news: Breaking news! 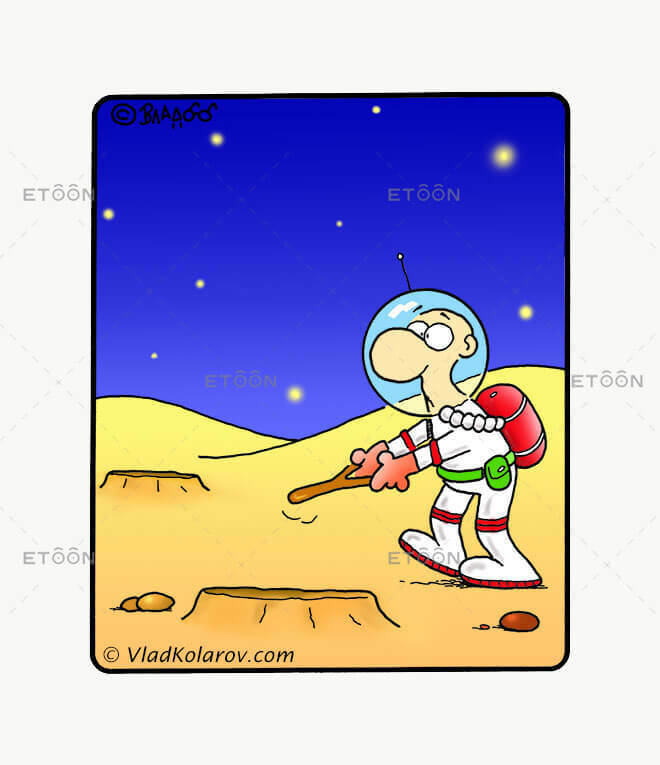 Life found on Mars!